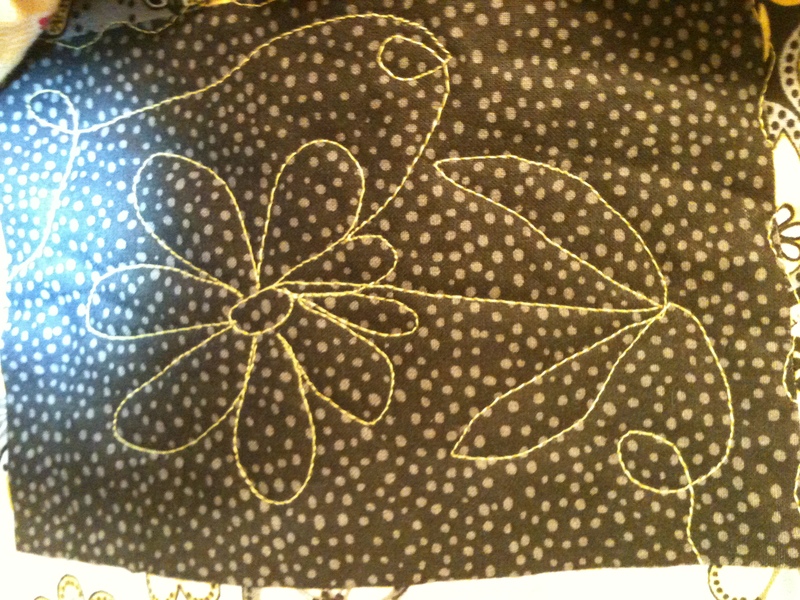 Still a novice at FMQ, but I got the idea to use the fabric's print to dictate my stitching. 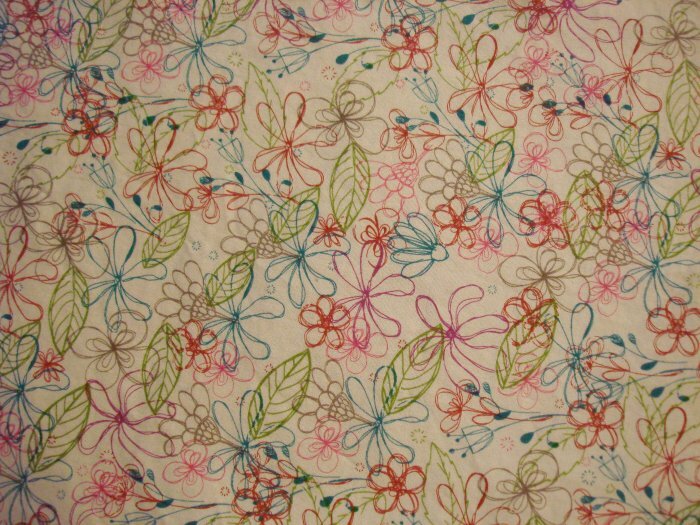 The second, I envision FMQ in the same design, and hopefully the same colors, as the flowers 'drawn' in the print. Has anyone done this and want to share pics? Or know of places on the web where examples can be seen? Hopefully these will not end up in my 'hope to do someday' pile. Yes - that's generally what I do. 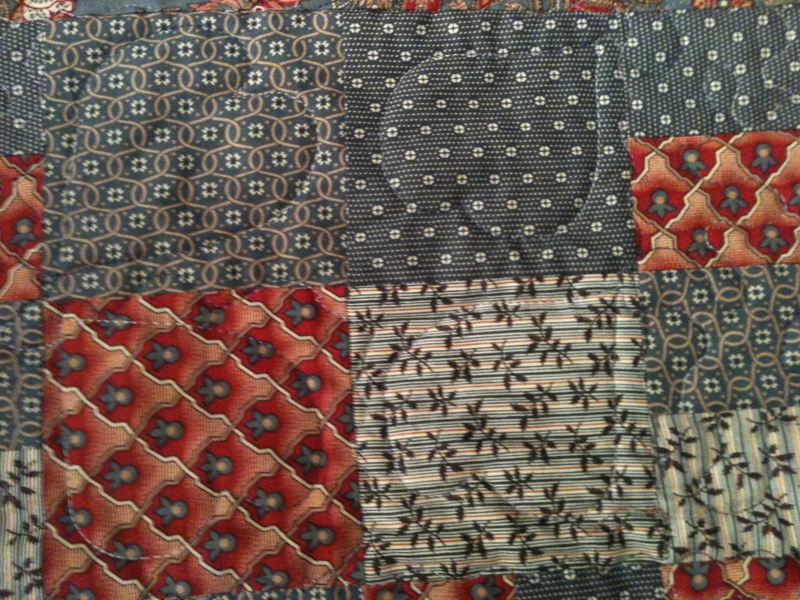 I stabilize the quilt top by stitching around sections first. That keeps the top from shifting and gives me a manageable section to quilt. Then I try to use the print to give me an idea to FMQ. If there's nothing inspiring I'll do a meander or loop-de-loop or something like that, but otherwise I'll do something based on the print of the fabric. I'll also use the theme of the gift - if it's for a wedding I'll quilt hearts, etc. I'll also echo quilt a picture from the print - sew slightly above the figure - like the clam shell in your pic - then sew slightly above that, etc. 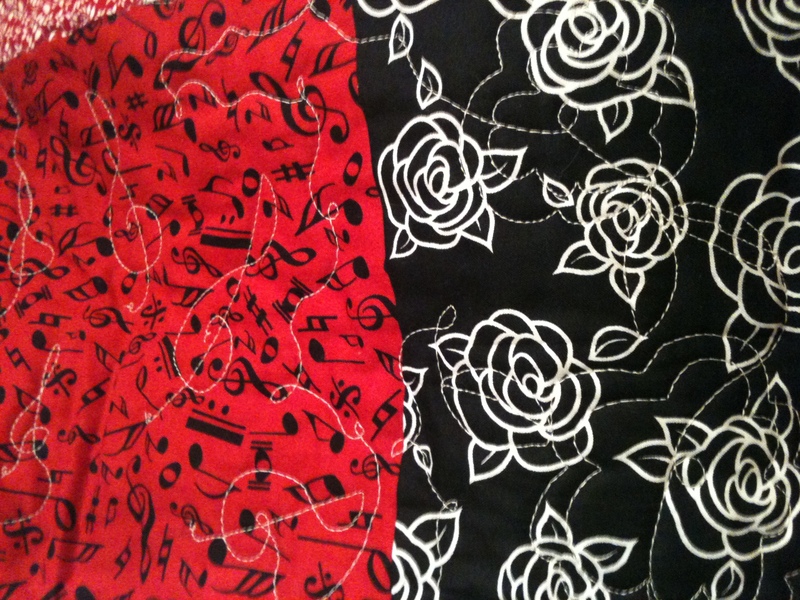 In the picture you'll see music symbols on the red print and flowers on the black/white. The daisy had a floral piece right next to it. You have some great fabric there. Good luck and remember to enjoy the journey! 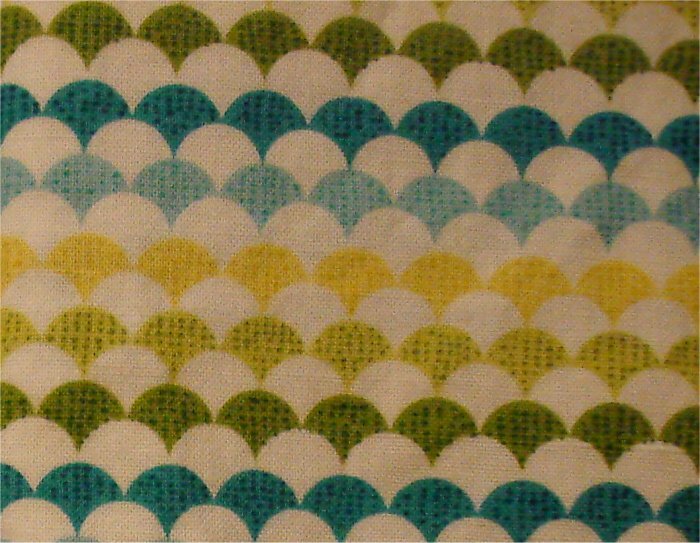 Here is another example of using the print of the fabric to determine what you FMQ. I'm getting more excited about this after seeing your examples. It will definitely be at the top of the 'want to get done' file! Some years ago, the idea emerged of putting a pretty print on the back and quilting from the back. One I saw had a pretty spider mum on the back so the quiling was the spider mum on the front, but quilted with the back side up. I think there was a book titled,"Quilting from the back".